Applications are open for the Industrial Ecology Business Support Grants Program and Business Advisory Services Grants Programs to assist business across NSW to recycle. These grant programs are funded by the NSW Environment Protection Authority under the Waste Less Recycle More $35M Business Recycling Fund. The NSW EPA is offering contractors, consultants and industry advisors the opportunity to apply for a grant to build or expand an Industrial Ecology Business Support Network (IEBSN) in one of six pre-defined regions and facilitate industrial ecology projects with interested medium to large enterprises. Applications opened on Wednesday 12 February 2014 and will close on Friday 21 March 2014. For details on the grants program you can download the information package and application form. An interactive workshop is being held in Sydney on Thursday 6 March 2014 for grant applicants on the Industrial Ecology Business Support Grants Program. For more information and to register for the workshop please email: waste.grants@epa.nsw.gov.au with subject Industrial Ecology or phone (02) 9995 6873. The NSW EPA is also offering businesses, not-for-profits and local governments the opportunity to apply for grant funding to provide business advisory services to small and medium enterprises (SME) to support them to reduce waste and increase recycling. 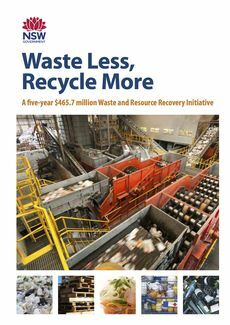 We expect providers of waste and recycling services, providers of recycling equipment, logistics companies and industry associations to be interested in this funding opportunity. Applications opened on Wednesday 12 February 2014 and close on Thursday 3 April 2014. For details of the program see the information for applicants and application form. For more information email: waste.grants@epa.nsw.gov.au with subject: Business Advisory Services or phone (02) 9995 6901. There is also a free webinar on this grant program scheduled for Tuesday 4 March at 10.30am. All the information you need about the grants can be found at the NSW EPA website.